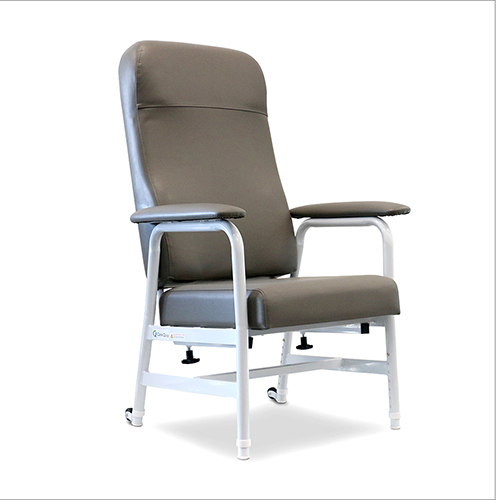 • Offering a superior level of pressure care, this is an ideal seating solution for clients sitting for long periods requiring comfort and postural stability. • Contoured backrest features lumbar and lateral support and memory foam in seating area contours to the client reducing pressure. • 2-way stretch vinyl is antibacterial, vapour-permeable and fluid resistant. • The durable and reinforced frame is ideal for facilities and hospitals and features tilt mobility wheels for manoeuvrability.